Langostinos are crustaceans that measure about 3 inches long. These crayfish-sized shellfish taste like a cross between shrimp and lobster and can be substituted for either of them in recipes. Langostinos' sweet, tender meat is the perfect addition to cream sauces, etouffee, gumbo, salads, casseroles and soups. 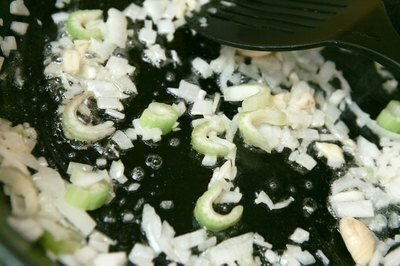 You can also saute the delicate shellfish tails and serve them alongside potatoes, rice or vegetables. Be careful not to overcook langostinos as their meat may become tough and chewy. Place a 1-lb. 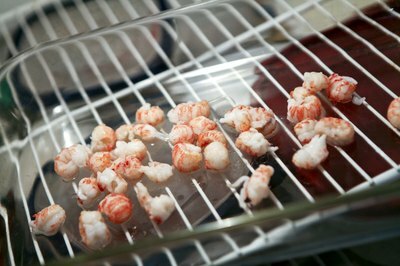 bag of frozen pre-cooked langostino tails in a baking dish and leave them in a refrigerator overnight. 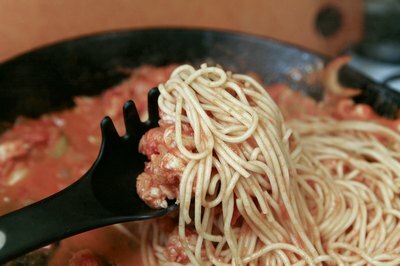 Pour the thawed tails into a colander in a sink and allow them to thoroughly drain. Melt 4 tbsp. of butter in a large skillet over medium-high heat. Add 4 tbsp. of olive oil, 4 cloves of sliced garlic and 1 chopped shallot. Saute the ingredients for 3 to 4 minutes, or until the garlic is fragrant and the shallot is translucent. Add 1 lb. 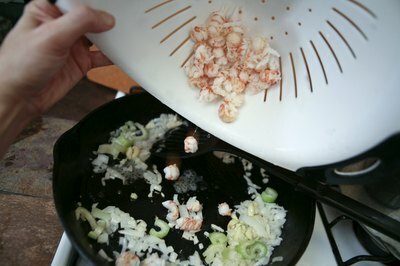 of thawed or fresh langostino tails to the skillet. Sprinkle in salt and pepper to taste, 1/2 cup of chopped fresh parsley and the juice of 1 lemon. Saute thawed cooked tails for 2 minutes and fresh tails for about 5 minutes, or until the meat is firm and cooked all the way through. 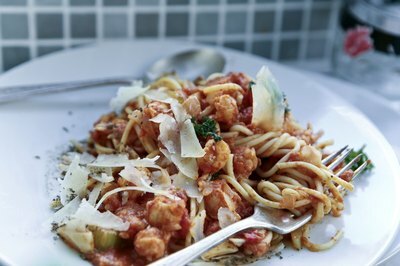 Serve the langostino tails and butter sauce over hot rice or pasta.